We reflect God's love by welcoming, serving and supporting those who need it most. Founded in 1893, we are an agency of the Methodist Church in Ireland. Committed to expressing Christian faith in practice we can be found at work in several locations in the greater Dublin area. 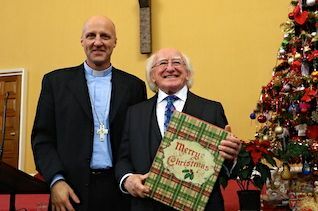 President Michael D Higgins praises the work of Dublin Central Mission during a visit to Abbey Street Methodist Church. European Neighbourhood Day was celebrated in style at Ailt an Óir on the 19th of May 2017. 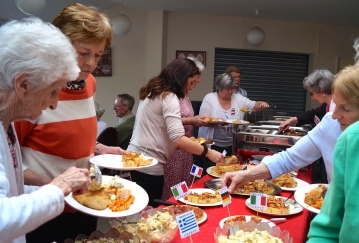 Special guests enjoyed tastes from all over Europe. 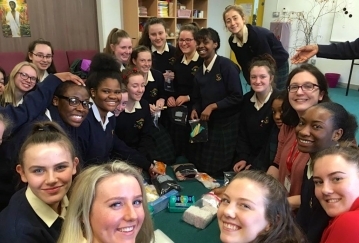 Thank you to the Justice and Peace Group of 5th year and Transition year students at Loreto Secondary School Balbriggan who recently supported the DCM Homeless Ministry.